This Lifeguard Certification Course requires participants to complete an online blended learning course as well as 2 days of onsite classroom and in-water training. By registering for either day you are automatically enrolled in both days, so please register for only one date. This Lifeguard Certification Course is to provide entry-level lifeguard participants with the knowledge and skills to prevent, recognize and respond to aquatic emergencies and to provide care for breathing and cardiac emergencies, injuries and sudden illnesses until emergency medical services (EMS) personnel take over. 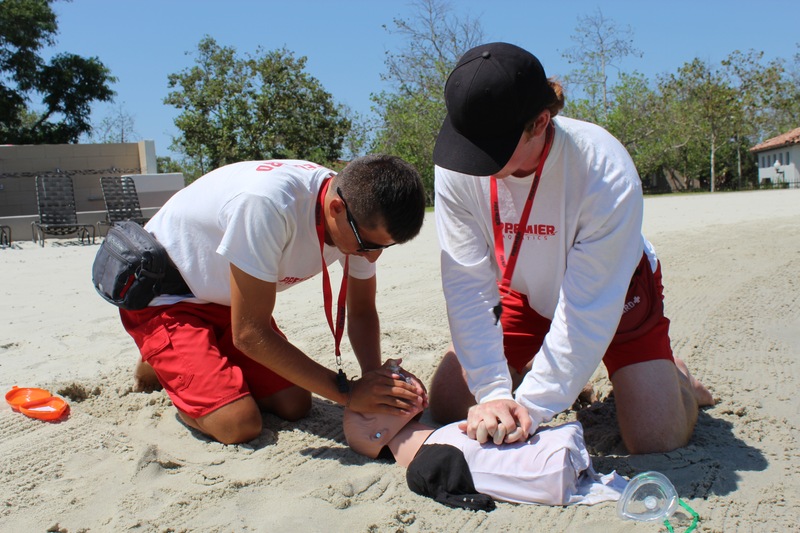 Already Have a Current American Red Cross Lifeguarding/First Aid/CPR/AED Certification? Must complete online course through the American Red Cross. To register, please click on the button below and complete the online course. Online course completion certificate must be presented at the in-person skills portion of the class in order to participate. PLEASE NOTE THAT THE AMERICAN RED CROSS ONLINE LEARNING PROGRAM CAN TAKE UP TO 8 HOURS TO COMPLETE. IT CAN BE DIVIDED UP OVER A NUMBER OF DAYS, OR TAKEN IN ONE SITTING. PLEASE ALLOW AMPLE TIME TO COMPLETE THIS COURSE.